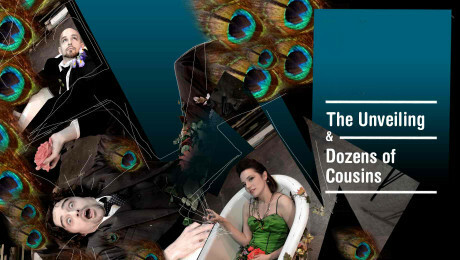 The Unveiling and US Premiere of Dozens of Cousins, Trap Door Theatre, 1655 W. Cortland; 773-384-0494; Thursdays-Saturdays 8 p.m. through January 26; tickets $20 (2 for one Thursdays, $25 Saturdays). Another first-rate work in a space the size of your living room. Redtwist Theatre in Edgewater isn’t afraid to take on big projects, and when the project matches the company’s very contemporary sensibility the results are outstanding. (Its production of The Man From Nebraska made brilliantly clear a play I’d found puzzling and tedious at Steppenwolf.) Here again it takes on a one-time Steppenwolf commission, teasing out every layer of meaning in this early work by the Pulitzer-Prizewinning author of Clybourne Park. The four actors (including the remarkable teenager Nicholas Roget-King) strip back the surface of routine exchanges among a war widow, her mother-in-law, her son and a mysterious visitor so we can see the blood and muscle underneath. Director Jimmy McDermott gets the best from everybody, and Clay Sanderson takes the concept “creepy” to previously unknown heights.